I am looking skyward under a huge old oak tree. 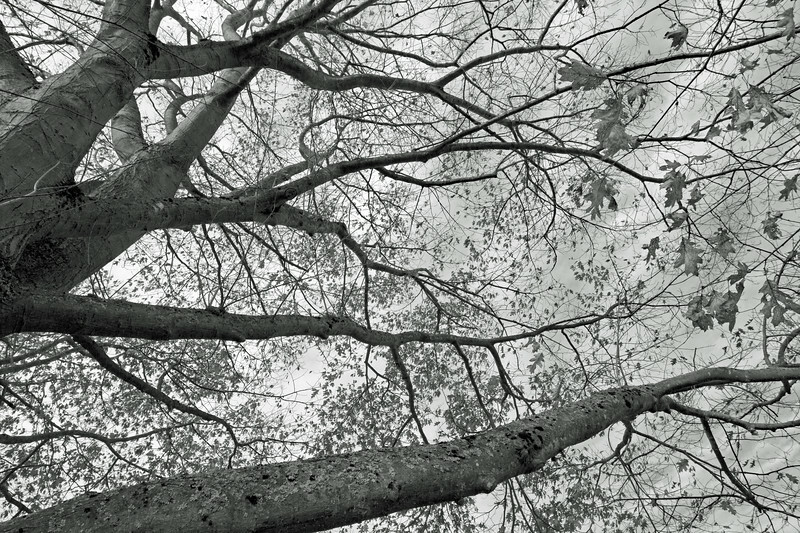 The remaining leaves cling to the branches as the clouds in the winter sky move rapidly with the wind. I have watched this tree through the seasons change form and each season brings a message. The winter message is a time for rest and reflection, gaining strength for the new growth in the upcoming Spring season.